Our birthday party package includes the options you see here, see below! 60 mins on the field and 60 mins in the party room. Up to 15 guests, additional charge for additional guests. NO BALLOONS WILL BE ALLOWED IN THE BUILDING!!! 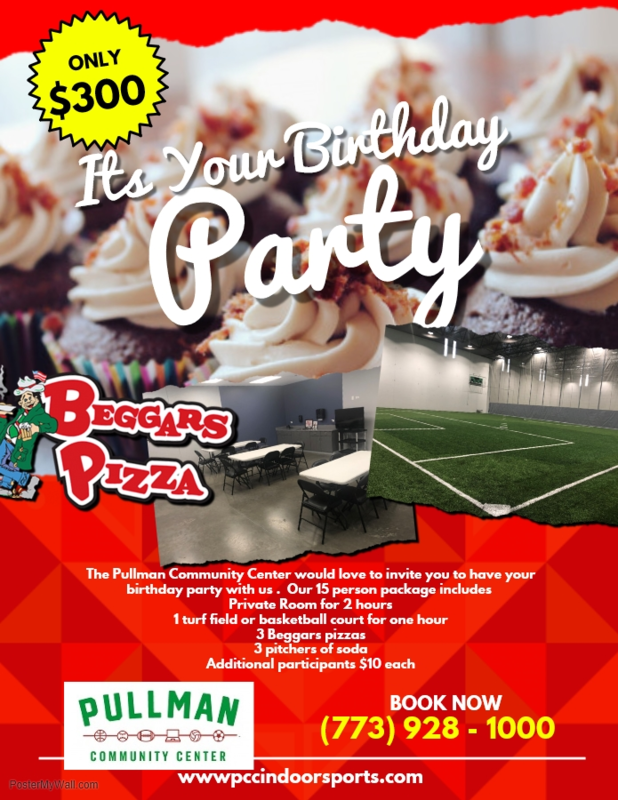 The Pullman Community Center would love to invite you to have your birthday party with us. Our 15 person package includes 1 Private Room for 2 hours. 1 turf field or basketball court for one hour, 3 Beggars pizzas, and 3 pitchers of soda. All additional participants $10 each. Please call 773-928-1000 to book your birthday party! !